The Slumit Canopy Pole Set. 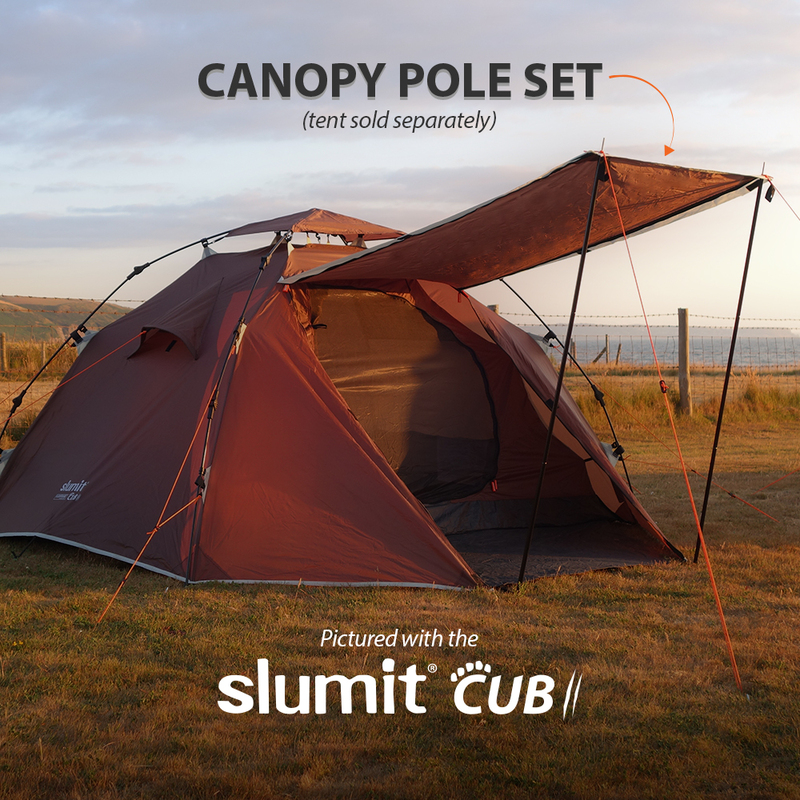 Accompanying your CUB 2, GOBI 3 or GRIZZLY 4 tent with the Slumit Canopy Pole Set will convert your tents front outer door into a convenient awning canopy. The Canopy Set consists of two collapsible black powder coated steel poles, two high-vis guy ropes and two ground pegs. The Canopy Pole set has been designed specifically for the CUB 2, GOBI 3 and GRIZZLY 4 tents. Each pole when fully extended are approx 130cm long. NB. Keep door fabric slightly slack when using the door with the Canopy Pole Set to avoid unnecessary stress to zippers. Take due care when handling the poles. Only use the Canopy Pole Set in still conditions.